BREAKING NEWS– PATENT GRANTED: We are pleased to announce Summit Ice Melt Systems has been granted the patent on our PRO® Roof Ice Melt System. Select PRO to get PATENTED energy efficiency and performance benefits ONLY available from Summit. 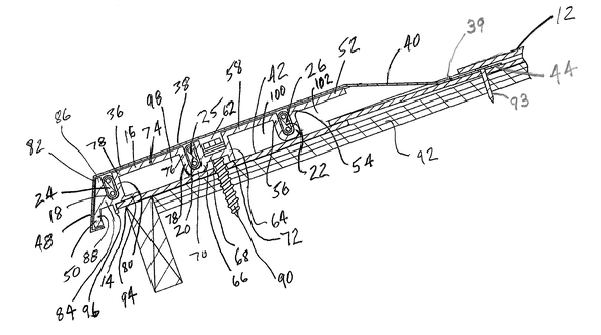 Protected under U.S. Patent #8,946,601 and other patents pending. 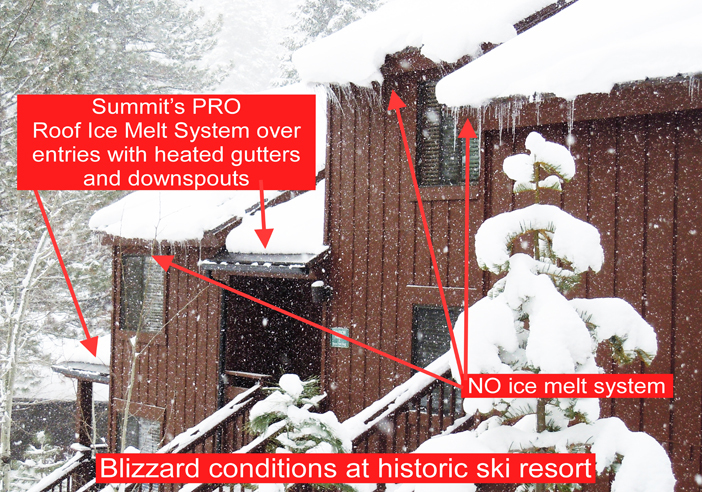 Summit Ice Melt Systems’ PATENTED PRO was developed to answer the overwhelming need for a safe, reliable, effective, and truly energy-efficient means to eliminate dangerous ice dams and icicles. Summit’s systems focus heat to right where it’s needed: the eave edge. No need to waste energy by heating the entire roof. Leave that old-school myth behind and find out how Summit’s systems work. Ice dams leak and cause interior damage and toxic mold. Ice formations fall off roofs and damage property and can kill or seriously injure people. Our forty years’ experience with ice dams allows us to really examine how they are formed and know what it takes to prevent them. What distinguishes Summit from the competition? How do they measure up? Learn the 4 Rules and you will clearly understand the difference between our energy-efficient product line and the competition. Summit is proud to offer Patented Roof Ice Melt Systems with broad selection that is tailored for every climate across the country. From the most demanding alpine climate or milder climates. Summit Ice Melt Systems’ Product Catalog!